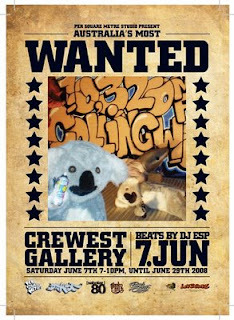 Our June '08 show featured the tight and whimsical work of Melbourne artists: Myla, Dabs, Dvate, Askem, and Sear. These are some incredibly talented folks from Down Under. 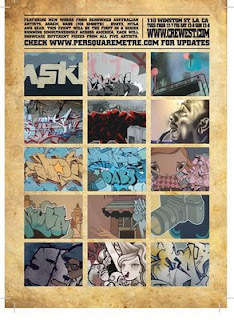 Click here for all the flix from the show..